Gold has two sources of supply: mining and recycled gold. Mining gold has decreased of late owing to the fact that all the “easy gold” has been mined and exploration budgets to find more are going to be much more expensive. Even if a new find was discovered, it would take 5–10 years for that gold to reach the market. According to the WGC’s website, recycled gold ensures that there is “potential source of easily traded supply when needed.” As long as the metal is in a form that can be melted down, refined, and reused, it helps keep prices stable and avoid economic volatility. According to the WGC, recycled gold contributed an average 32 percent to annual supply flows between 2005 and 2009. Four components to gold demand: jewelry, investment, technology, and central banks. 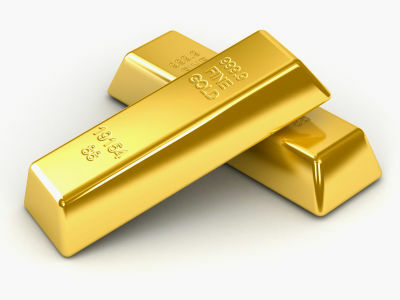 Between 400 and 500 tons of gold a year are in technology. Along with the uses I mentioned early, it is also employed extensively in dentistry, although Schraeder tells me that practice has dropped off slightly in recent years. There has been a shift in gold demand from the West to the East. China and India combine to make up 50 percent of the global demand for gold. The United States and the rest of North America make up just 13 percent of global demand. Women in India possess upward of 18,000 tons of gold—mainly because of India’s culture of giving gifts to women after marriage or during holidays like Diwali. To put that number is perspective, total U.S. holdings equal 8,133.5 tons.